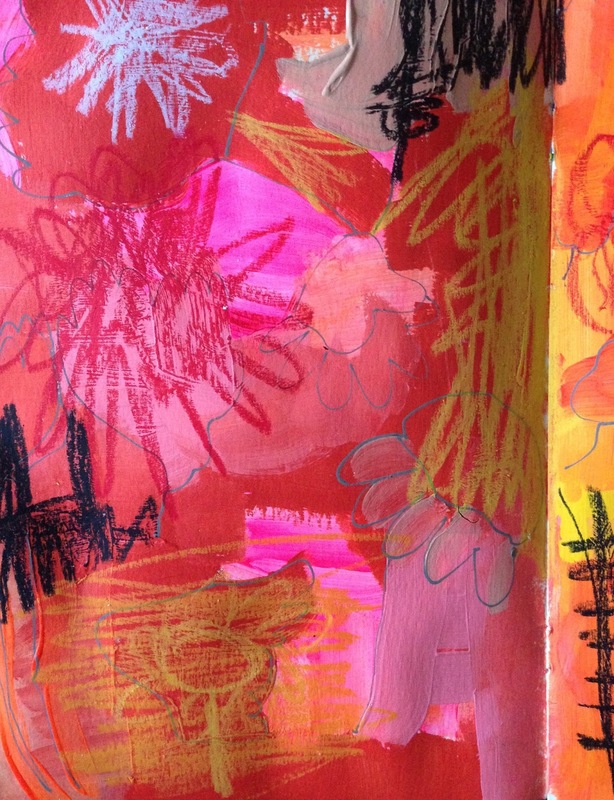 The season of HAPPY of Get Messy Artjournal is here! I went full on the art promp for using my favourite colours and mediums. For me they are pinks, nudes, yellows, neons. My first page was completely intuitive. Here is another one for this week. I love reading books about happiness, self development, universe, energy. Reading is one of my happy places. I also tried to make my own stencil following Vanessa's tutorial. I had so much fun! Love all your pages Kate! They are amazing! 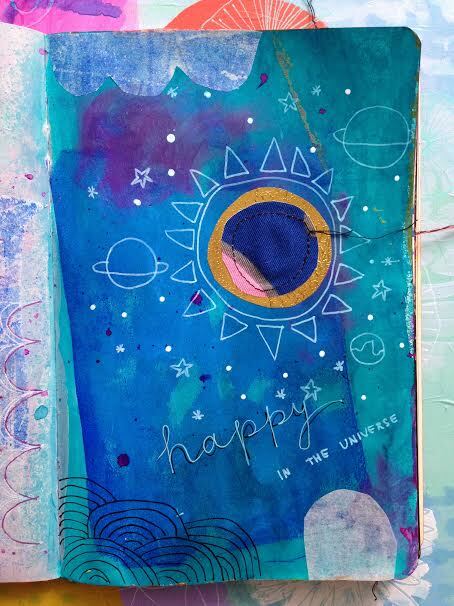 I especially love your universe page! I thing your intuition is good, very good and I love the second page!! Thank you so much! It was so much fun using my favourite colours! So bright and fresh. It is so nice when you get in the zone, it shows!! It felt so good to simply use the bright colours! Thank you so much! All awesome but I especially love the universe one.